Playgroups are a good opportunity to get out of the house and meet other mums. There are playgroups on throughout the week in Croydon. Here is our pick of the best. Tunstall Nursery Baby and Toddler group. The baby and toddler group is run 3 mornings a week. Monday. Wednesday and Friday from 9.10 till �11.15. Cost �2 for the whole family. Please come a join us for a coffee. Clock Tower Cafe, Croydon Clock tower in the Town Hall, 9 Katharine Street, Croydon, CR9 1DE. St Swithuns Church Hall, Grovelands Road, Purley, CR8 4LB. Coffee Craft, Stanley Halls, South Norwood Hill, South Norwood, SE25 6AB. Monday: Kensington Avenue Baby caf�, 10am – 12pm. Kensington Avenue Children’s centre, off Hawthorne Avenue, Norbury, CR7 8BW. Tuesday: Sanderstead Baby Caf�, 12.30pm – 2.30pm. � � � � � � Sanderstead Clinic, 40 Rectory Park, CR2 9JN. Wednesday: Woodlands Baby Caf�, 1-3pm. � � � � � � Woodlands Children’s centre, Gilbert Scott School, Farnborough Avenue, South Croydon, CR2 8HD. For mums and carers with young children. There is a varied programme which appeals both to the children and adults including speakers, craft activities, parties and outings. Toddler group for all children aged 0-5 with their parents or carers. 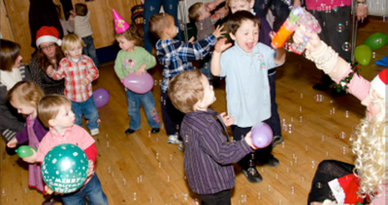 There is a wide variety of equipment and toys available which cater for the developmental needs of children of this age, plus activities such as craft, playdoh, cooking, and a time of singing with musical instruments. There is also access to an outdoor play area during the warmer weather. The cost is �1.00 per child. Please contact Gill Kennett for more details. A parent/carer and toddler group in held in Mitcham. For parents, carers and pre school children. Just come along. �2.50 per adult, 50 pence per child. 50% discount for members of the North East Mitcham Community Association. Parent/carer and toddler group held in Mitcham.